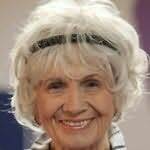 Alice Ann Munro is a Canadian short-story writer and three-time winner of Canada's Governor General's Award for fiction. Widely considered one of the finest living English-language short story writers, her stories focus on human relationships looked at through the lens of daily life. While most of Munro's fiction is set in Southwestern Ontario, her reputation as a short-story writer is international. aka Who Do You Think You Are? "It is hard to think of anyone who casts a spell the way Alistair MacLeod can." "In Duet for Three, Joan Barfoot's charting of family life is unsparing, painful, witty, and surprising. The cumulative effect is remarkably powerful." "Passionate . . . a wonderful book." "An exuberant, horrific excavation of a family's life and history... wild, witty." "A story of magical power." "A novel of shining integrity and humour." "A writer who arrives with grace and authority." "To read this book is to enter a state of enchantment." "The emotional range and depth of these stories, the clarity and deftness, is astonishing." "A writer who can tell you hard truths, hopefully." "Edna O'Brien writes the most beautiful, aching stories of any writer, anywhere." "Jack Hodgins' stories do one of the best things fiction can do-they reveal the extra dimension of the real place, they light up crazy necessities of real life."